When it comes to 5-a-side leagues, the quality of the experience can vary signficantly. The worst leagues are nothing short of soul destroying and seem to have a conveyor-belt of teams joining and then immediately leaving, full of regret. But the best 5-a-side leagues are true footballing hotbeds and the stuff of local legend – players will travel from all around to get their weekly fix of football there. They’re not merely places where football is played, they’re social clubs, vital parts of the communities – they’re the cradle of so many of our cherished memories. 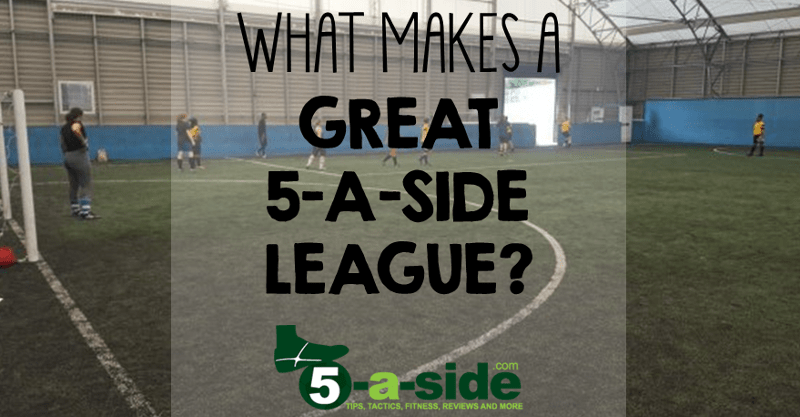 In this article we’re going to explore what exactly makes a 5-a-side league great (or indeed any type of league, whether it be 6-a-side, 7-a-side or Futsal). What is it about the way it is set up and run that makes it much more enjoyable than lesser competitions? Paul Francis – organiser of leagues in the ultra-competitive 5-a-side heartlands of London. Paul’s ‘Hallowed Turf’ leagues come well recommended and he’s able to speak from experience on what someone running a league needs to do in order to keep the players coming back time after time. Ian Horne – Ian also runs a London-based 5-a-side league operation: Leagues Ahead. Having played in leagues himself for many years, he decided that he could do a better job than a lot of what was already being offered, so set up his own venture. He’s separately blogged about the challenges of running a 5-a-side league. Chris Bruce – main contributor to this very site and author of The 5-a-side Bible, played in 5-a-side football leagues (of massively varying quality) for over 20 years and able to provide the player’s perspective on what makes a good 5-a-side league. Send out league information promptly (Chris). Nothing says you don’t care like not bothering to log the results until several days after the game, or sending out fixtures late. If you’re having to chase your league organiser for fixture information, that doesn’t send a good message out. Why should teams take the league seriously if the organiser doesn’t? Get feedback where possible (Ian). People won’t necessarily voice their complaints or issues – so make sure you’re switched on and make the league as good as it can be. Help with player crisis (Chris). It’s inevitable that player shortages will occur sometimes – anything you can do to help a team with this problem will win you some major kudos with the teams in your league. Not every organiser is able to do this, so the ones that can do it tend to stand out. It also means a lot less games will get called off, which is better for everyone. Make sure to communicate clearly and openly with team players and captains (Ian). A weekly email can go a long way towards making sure that people are aware of what’s going on, and any potential changes to a schedule. I also try to ensure that our website displays up to date information at all times, though I’ve found that direct and proactive email communication takes priority over expecting people to read the website. Find attentive referees (Ian). We recently put out feedback forms and our referee received loads of praise – people appreciate this. This is a massive one, as soft referees can be a major problem if the league is a bit feisty. Don’t accept bad referees (Chris). As a player, the referees are one of the most noticeable things about a league. Bad ones can really ruin the experience. Whatever you do, players will always complain about refereeing decisions – no referee will get them all right. But you do want a ref who looks interested in the game (I’ve seen several of them miss key decisions because they’re watching other games), and who can communicate properly (explains decisions, is firm but not condescending). We once played in a league where the referee missed around 20% of big decisions, just because he’d find himself watching the games on other pitches! Look after your referees (Paul). Really good referees are extremely hard to find but when you do they are a huge asset. I constantly review their performance and make sure I let them know how I expect them to manage the game. I pay my refs possibly the highest rates out there which is worth it – when you get a good one you want to keep them. In 11-a-side football you shouldn’t really notice the impact a ref has on the game. In small sided football I think it should be the exact opposite. They must conduct the flow of the game. They need to be vocal calling out loud and clear when to play on etc. Refs have to be personable and be able to share some in match banter but show they have full grip on the game. If this is the case it will reduce any arguments over decisions and will also afford the ref the odd mistake without any repercussions from any players. Make sure you crack down on any violence / aggressive behaviour (Chris). Things always boil over at some point, but if there are teams that are regularly getting involved in scrapes then this needs dealing with. People have signed up to play football, not for bare knuckle boxing with the local young offenders. The nice teams – probably the ones you’d most want to keep in your league – will be the first to disappear if the league is out of control. Keep the cost down (Chris). Players are sympathetic with organisers and know that there is a cost involved for them in booking pitches and hiring referees. However, a weekly game of football is costing considerably more than a gym membership then people will start to question whether they want to spend that sort of money. Charge what you should, not what you can (Ian). So many players get priced out of football, especially in London, and I think league organisers should care about this. If they don’t, you have to wonder what their motivation is. Be interested in the teams in your league (Chris). Do you actually turn up at the leagues you organise? Do you chat to the teams? Do you take a genuine interest in how things are going and ask for feedback on things? If so, you’ll almost certainly have the right attitude to be organising a league. Your players will feel welcome, valued and listened to, and they’ll be likely to develop a loyalty to you and your league. Go the extra mile (Ian). We’ve gotten our players extra coaching and free tickets to women’s football matches. I think people appreciate these touches. Love football (Ian). Very basic point but many leagues feel like they’re run just for profit and/or shareholders. You can tell when your league organiser loves the game. Give good customer service and get to know your teams (Paul). Too many providers are faceless. Show that you are available and willing to listen to any concerns. If you don’t have teams that feel they are getting a great experience they’ll soon walk away never to kick a ball in your league again. I’ve had teams that have left for other reasons, such as lack of players or people moving away, but if you do things right they’ll come back to you with a new team or will have told their mates what a great league yours is. Without the web traffic of large providers, word of mouth has kept me in teams for years. Make sure the playing surface is good (Ian): Find a good pitch (surface/size being key considerations), and arrange for an appropriate number of players per side. I also think it’s good to have a strong working relationship with the venue you use, if possible. Provide good equipment (Ian). One of our teams told us they were given a handball to play with in another league – I didn’t know whether to laugh or cry when I heard that! 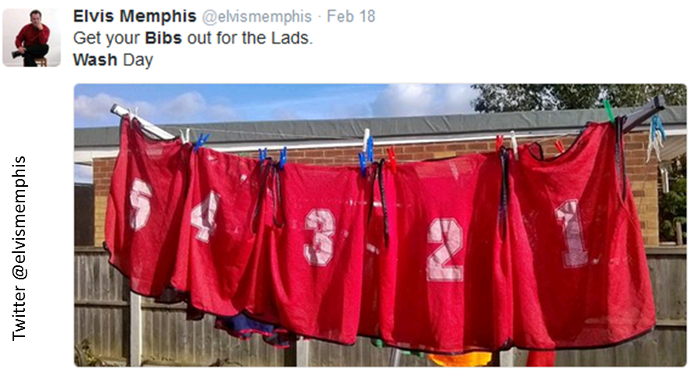 Anyhow, good footballs, bibs, etc go a long way. Carry some spares (Paul). I always make sure I have 3 match balls with me, all in good order. There’s nothing worse than turning up to games to find your playing with only one dodgy worn-out ball and when it gets kicked out of play you have to wait for someone to go and retrieve it. No refs are actually going to add on much if any time while this happens and what usually happens is you end up playing with a dodgy ball that one of the teams has brought along which is even worse than the one you started with! Wash your bibs (Paul) Also to be included in the basics would be fresh clean bibs in at least two colours preferably three to the start of every session. Of course a lot of teams do have kits but there’s normally always one or two players that don’t and there’s also kit clashes to take into consideration. Making sure that they’re clean is important as you don’t really want to be wearing ones that haven’t been washed in a month or are still damp and sweaty from weeks before. Properly Celebrate Success (Paul). Trophies and how they are presented is a massive bugbear of mine. I always aim to give the best quality possible, without completely breaking the bank of course. Winning the league is a great achievement at our level and teams do pay a lot to play in most leagues so if you win it you should have something that you can proudly display (and have a drink out of without fear that in will turn green!). I also give an award for player of the season and a golden boot for top scorer. As for presenting them, often they are just handed out over the counter with a quick “well done, see you next week”. I try and do a little better than that, although it’s not always possible on the whole I give out both winners & runners up together and take lots of photos (including a group photo of both teams together). A cheap bottle of something fizzy always is very welcome and makes for a more jubilant presentation pic. I also always try and say a few words thanking all teams for taking part with a little banter sprinkled in for good measure. Take Trophies Seriously (Ian). Trophies are a great way of showing the teams that you’ve got pride in the leagues and tournaments that you run, and a good trophy will always make winning feel that little bit sweeter. I mean, if you’re spending a fiver on your trophy, then what are people going to read into that? If you don’t place any value on the league or trophy, don’t expect other people to! Although the joy of winning something is about far more than the prize you take home, who doesn’t look at a trophy as a reminder of an achievement, and the enjoyment that you had while earning it? Players enjoy watching highlights (Chris). As a player, having some footage of your game recorded is a nice little cherry on the top of a league experience. Players are always curious to see if the video highlights have captured their bit of skill so that they can show it off to their mates (or often just look at it and realise that it wasn’t actually that good after all). As a player I’d never just join a league for the video highlights, and lots of other things are more important to me. But nobody will ever say no to video highlights if they’re offered, and it can give your league an added selling-point. Filming games can be worth the time it takes (Paul). From the second I thought about running small sided football I knew I would film the games. Although this hasn’t always been without its problems and is time consuming, it’s an integral part of my leagues and I wouldn’t have it any other way. In most leagues once that final whistle goes you might have a chat about the game over a pint afterwards and even mention it the next day but that’s generally it. With the highlights you’re waiting in anticipation to see that bit of skill, a nutmeg, wonder goal or save and can laugh at your mates for days, weeks and years to come when they trip on the ball or it bounces of their head for a calamitous own goal! The highlights are also a massive draw for attracting new teams and that cherry on the top for retaining your current ones. That is a lot, especially of the turf is poor. But if you are in central London that may be nearer the norm – I’m not an expert on the pricing. I’m outside London in Hertfordshire and pay £27 for a 40 minute game with a ref, in a school gym. yeah and we are really outside of London, Derbyshire in the middle of nowhere, its pretty much the only local one so they can charge what they like. That’s a real shame. I was going to say you should shop around, but if there’s no competition that’s tricky. If they push it too far then it may just be worth going it alone and organising your own kickabouts – maybe not as good as a league but I’m sure you could get a pitch for both teams for £30-35 per hour. Paul and Ian sound like solid guys. Wish my league organisers over the years had been more like them! The worst one for me is having the organiser clamp down on bad behaviour very quickly. Some leagues just spiral way out of control very quickly if you don’t keep on top of them. Cheers Adam. They are good guys. I totally agree with you about staying on top of leagues. The vast majority of people are no problem at all, but it only takes a few nutters to ruin it for everyone.